Why prolong the pain when you can get out and find something that’s right for you? Some relationships won’t work out. It’s not a nice thing to think about—that a relationship may have reached its expiration date—but it’s a reality. Sometimes, our mission at The Gottman Institute to create and maintain greater love in the world actually means helping you part ways and move on so that you can find the love you need and deserve. In fact, in an interview on The Loveumentary, John Gottman noted that if he could tell his younger self one crucial piece of advice, it would be to end hurtful dating relationships as soon as possible. We’re not in this work to save marriages and keep couples together no matter what. We’re in this work because we want to help people reveal the truth about their relationships and help them determine the best path forward—even if that means calling it quits and looking for a new partner that can meet their needs. It’s not just misguided to try and salvage a car wreck of a relationship. It can actually be damaging. For example, I was once in a relationship where the Four Horsemen weren’t just showing up on a daily basis, but they were constantly trampling me and my partner, their swords and arrows piercing us. And we kept at it, kept trying to make it work until it essentially destroyed itself, and it was an intensely painful and traumatic emotional experience that had lasting effects on my ability to connect with others in a healthy way—effects that still arise from time to time, four years later. Even Cupid, the cute babyish angel that we associate with love, was not cute in its original conception by the Greeks. I mean, think about it. Cupid shoots you with an arrow of uncontrollable desire. It’s not hard for something so intense as love to bring people to irrational states of mind, to try and make something work despite all odds. Trust me, breaking up and getting back together over and over wasn’t a fun experience. I wish I knew to get out of it sooner and call it quits for good. It would have saved me a lot of pain. So, if you find yourself in a similar situation, here are some indicators from What Makes Love Last that might be signs that it’s good to move on—not just to avoid the pain, but to find a better, happier, and more successful relationship in the future. Sometimes it’s as simple as understanding that one partner really just wants out, or may be unwilling to acknowledge their part in the relationship’s downfall. Sometimes it even comes down to mental illness, like clinical narcissism (a personality disorder) that can block authentic connection with another person. The other partner in that relationship may cope with the narcissism by feeling angry, fearful, doubting themselves, or even becoming anxious, depressed, and feeling hopeless. And isn’t necessarily the fault of someone who suffers from a personality disorder; even if actions or words are intended to be hurtful, their condition truly inhibits connection beyond their control. That’s a very clear-cut example. If the rejected partner simply accepts that someone with a narcissistic personality disorder lacks the empathy they need, then they can call it quits, get treatment for their depression, and look for a healthier relationship with someone else—a relationship that will bring joy and connection, not suffering. Other examples are not so clear-cut. Some couples may really want to stay together despite a vortex of negativity that is dragging the relationship down. And it may be possible to help those couples overcome their differences and reconnect if they are willing. But there’s another way to tell if it’s really time to go, and that’s the “Story of Us Switch.” It’s not a gradual process—like moving into a negative state of mind for a period of time due to difficult circumstances—but it is a true switch. A couple will either have happy, positive memories about their relationship, or they have bitter ones. There is very little middle ground here. If the switch is on positive, then the couple has a strong bulwark against negativity, even if it surrounds them at the moment. They can fight off the Four Horsemen. They can use their positive memories, which creates positive sentiments, as ammunition to take those horsemen down. But if the switch is on negative, for whatever reason, that is a result of negative sentiment override, which is when partners simply assume the worst about each other. Even if only one partner’s switch is pointing toward negative—like a light switch, simply on or off—then that is a reliable predictor of breaking up or divorcing. We can tell this through the oral history interview assessment technique. When we ask the couple to tell their “Story of Us”—how they met, some of their struggles, their most positive memories, what they believe to be true about their relationship—there may be a fair dose of negativity. But if the couple can glorify the struggle—that is, make light of the bad and deeply appreciate the good that came from it—then they can likely fix whatever’s wrong through effective interventions. However, if that story is entirely negative, if even the positive memories of first becoming attracted, of first becoming intimate, etc. are absent or viewed negatively, then the couple will likely split or stay together but lead parallel, non-intersecting lives in which they do not trust one another and won’t feel connected. If you feel like you’re in the throes of negative sentiment override—if your switch is clearly off—you can work with a couples therapist to determine the best course of action. Why would you put yourself through that? Love is a powerful state of mind that transports you to some of the most beautiful experiences that humanity has to offer. And if you feel that fire of attraction and bonding with someone, it’s hard to say no, even if you feel like you’re punchdrunk after 15 rounds and can barely stand up. But why go through the pain? 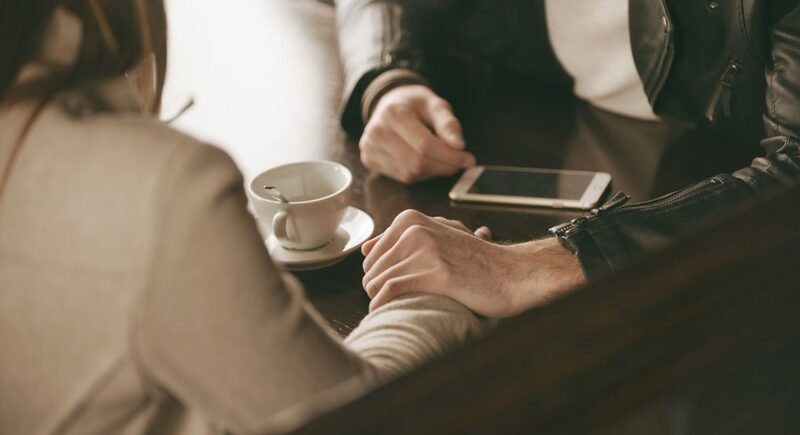 Even if you choose to call it quits, a therapist can help you discover what went wrong and what you may need, specifically for your personality and communication and attachment style, for a relationship to bring you happiness. There are the right people out there for all of us, people who will adore our quirks and validate our perspectives and treat us with true affection, admiration, and appreciation. It may not be easy to find the right one for you, but it’s more damaging to your mental and physical health, more dangerous for your happiness and well-being, to stay in a relationship that’s firmly in the negative. Instead, moving on may be the healthiest choice. It’s not a failure if you learn and grow from the experience. There is plenty of hope out there, and there are more ways to meet someone than ever before. Need some direct relationship guidance and support, whether you’re in a relationship or single and looking to learn more about how relationships work and what you need to succeed? You can find a Gottman-trained therapist in your area using the Gottman Referral Network.